and after shooting an email to Simarine (on a sunday evening !!) asking which system would suit me best I got a reply within a few hours (still on a sunday !) that all my needs would be fulfilled with the Pico plus Blue package . 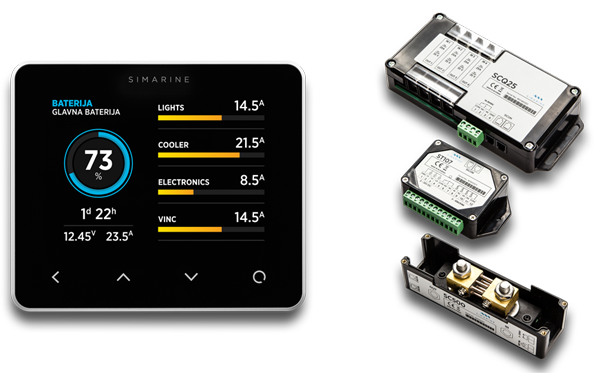 btw the response time to emails and queries are fantastic so Simarine gets a 5 star for responses and service , more on that later ! So having received the email with the recommendation on which system to order I ordered the Pico blue system , and it arrived swiftly within a day or two to my home address , which is a few 1000 miles way from the boat, I opened the various boxes (3) with the nice little display , the 107 controller and 300 amp shunt . When I ordered the system I did get asked ‘will it be a panel mount or stand alone system ?’ to which I replied ‘It will be a stand alone system’ , so when I received the system I didnt give it much thought but after reading the manuals and looking at the contents of the boxes I realized I may have made a mistake ! I currently have a BEP battery monitor and I was planning on replacing that with the Pico display ! , but I had no idea how the BEP battery monitor was mounted ? does it have a hole behind it ? , and how big is the hole ? .. I measured the Pico display and looked up the size of the BEP display and the PICO does seem to be bigger , so no issues there , but there were no panel brackets with the PICO ? ..
After downloading the online manual and reading it it still didnt anser my questions ! , When looking at all the cables there were a few data cables supplied and the thing I wanted to know was “do I need to run cables in parralel , serial or daisy chain” ? . As we all know installing a new monitoring system in an exsisting system is not easy and one of the hardest parts is running new (proprietary) cables through existing systems . After going through the manual and the drawings I came to the conclusion (rightly or wrongly) that I could probably get away with serial cabling (ie 1 data cable from one component to the next) and I started to run the cable from the navigation table to the place where all the batteries are and as Murphy’s law will have it , the 4 (or 5?) meter data cable is a (1 !!) meter too short . Ok , deep breath , diving back in and finding a new place for the 107 controller , fairly close to where the diesel tank is , I hook up the diesel tank sensor . Easy to do cut the impedance wires , splice new wires and hook them up to the 107 controller and hook the existing analog fuel gauge up again as well .. done .pfew , at least I got one tank sensor hooked up !! I take out the drill template , fix it in the place I want the display and start drilling the holes . That all goes well and I fix the copper threaded studs on the back of the display and push in the display , then reach behind the panel to screw on the copper ‘bolts’ .. guess what ? the threaded studs are too short ! .. I dont know why but the place I want to put my display is on an 25mm thick panel and the thread is a few mm short !! Simarine , can we please have threads 30mm long (or longer ?) with thumb screws to mount the display ? Ok .. set tank levels for the diesel tank .. need at least 2 variables .. huh ? (now I know I am a techy person so I know I have to have 2 ref points on a resistor based tank level , but can you please explain that in the manual somewhere ?) luckily I took some measurements previously as I didnt trust my current diesel tank gauge , but having to put in different resistance levels (in Ohm) is quite a surprise and i am sure many self installers will not have or know what the difference reference points are for full , half and empty points . Next the shunts , the 300 Amp for the house battery bank and the 25Amps for the users and suppliers .. . I picked up the 300 Amp shunt and openend the engine bay where the battery bank is located. 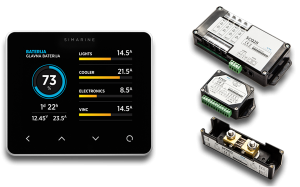 Now I currently have a BEP 600 battery monitor that also uses its own shunt and I would like to use the Simarine as a control / back-up system to my current system , better to have redundancy to an existing system , right ? Well, maybe not , the current installation is a typical haystack of wiring and the current shunt for the BEP 600 is installed in such a way that I can’t put another shunt in a serial connection . That made me think about my plan , am I even allowed to put 2 shunts in serie with each other ? will that affect the measured current in any way or will they interfere with each other ? I don’t know so I hopped on to the Internet only to find that I didn’t have an internet connection good enough to do some searching on google. So the ‘installing the main shunt to the house battery bank’ project is moved forward to a later date until I can figure out whether or not I am allowed to use 2 shunts in a serial connection and figure out how to connect it to the current installation. The next thing I am going to do is connect the solar panels to the Pico system and I started to rummage through the parts and installation manual to figure out how to connect them and to what . Reading the manual isn’t easy and after looking at the 107 manual it slowly dawned on me that I was missing something as the 107 does not have any 25amp shunts build in . I started looking at all the boxes (3) and realised I was missing the quadro 25 amp shunt module !! first I thought I was going nuts and I forgot it at home but then started look at the outer packaging and realised there never was a 25amp module sent to me, the outer packaging never contained 4 boxes only 3 ! 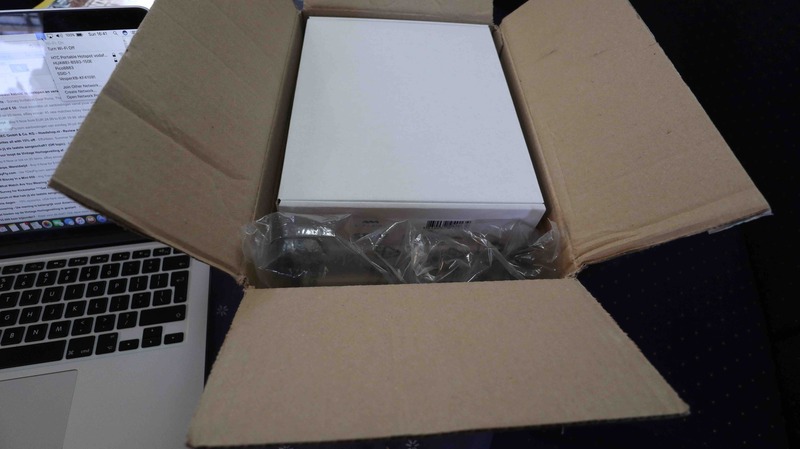 it just wasn’t big enough for an extra box !. So I dropped Simarine a quick email , explaining the situation , and they responded immediately (again on a sunday) and their director of sales apologised and offered to send the missing box out immediately to a location of my choice (marina, hotel anywhere) Great service of course but being on a sailboat in a somewhat deserted secluded bay without set plans for the next 3.5 – 4 weeks makes it difficult to give an address , I tell them to please hold it and send it to my home address when we return . Simarine later confirmed they sent me the wrong (smaller) package , apologised profusely and will send out the missing parts asap ! Now I am rather disappointed I can’t finish this part of the installation either , but stil being in installation mode I mull over in my head where to install that 25amp shunt module , the most logical place is near the house battery bank ? And when I started looking at the current installation my heart sank a little bit , because now I have to figure out which wire is what and why .. I need to find the wires from the wind generator , need to splice into the 3 solar MPPT controllers , need to find the wires for the fridge and freezer , the wires for the navigation equipment etc etc . It would make life so much easier to have single 25amp shunts that are blue tooth connected to the Pico display , I mean , go to the fridge , cut the wires , put the 25amp shunt into place and done , same for the freezer , the wind gen , the MPPT controllers , all single 25amp shunt connected through bluetooth !! But Alas poor Yorick .. ermm … Alas poor Rene , no such thing as single 25amp shunt that are wireless connected to the display so I need to find a place for this 4 shunt module, missed chance in my opinion ! Ok , so the 300 Amp shunt .. not today , the 25 Amp shunt module , not today .. lets configure the rest of the Pico display ! etc etc , but without any explanation as to what the function does , what the settings do and how changing the settings affect operation ? so I skip most of it as its not explained or simply doesnt seem to change anything ? Simple things like ‘Auto standby’ , a function that is normally quite self explanatory , doesnt seem to do anything as the display always lights at the same intensity and never seems to go into any standby mode ? , or maybe it does and I just don’t know how the standby mode looks ? When I played with the display some more I came across the screen where I hooked up the starter battery and noticed ‘current not connected’ .. ermmm what ? the battery is connected isn’t it ? .. oh wait ! .. its voltage connected only to the 107 module , maybe it says that there is no shunt connected so it cannot measure the current itself but only measures the voltage ? back to the manual but sadly there are no drawings from the different screen possibilities and an explanation what the different screens and screen info means . Ok, enough for today .. cold beer time and snorkelling with the kids time , its vacation !! The large 500A shunt has been installed between the existing shunt and the battery bank. After confirming with several people that this would not pose any problems it was installed without an issue. The second piece that was tackled was the tank sender, as described above I never got it working right and after a lot of reading I figured out my tank sender was not a resistance type but a voltage type ! So I changed the connection on the ST107 from resistance to voltage and now it seems to work fine . It probably needs some fine tuning and some more data points for full, half and empty but I can do that over the next few months when we sail. That leaves the solar panels and wind generator which I havent gotten around to . The Solar panels will be replaced soon by 2x 335Wp panels, a total of 670 Wp . Thats almost double the watts and amps that we have now ! this poses one issue though and that is the max Amps through the SQ25 . That box can handle 25A per channel and I expect somewhere between 30 and 40 Amps from the solar panels which means I will have to use 2 of the channels on the SQ25 shunt . According to Simarine this is absolutely no problem and the display just add’s the 2 channels and shows the total. But with all the other connections already made I dont have enough shunts left ! 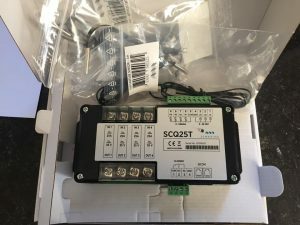 So another order from Simarine for an extra SCQ25T , a shunt module with again tank and sensor connectors. While browsing the Simarine website I also stumbled across external temperature sensors for 5 euro each. I am not sure if this is cheap or expensive but I ordered 4 . I am thinking about using these to monitor the freezer temp. the fridge temp. ambient temp and engine temp. but maybe I wont ever get around doing that ! it goes below the line and starts again at the top ? Simarine ?, can we address this please ? How the battery monitor itself works ? I have no clue yet ! but I will update this in a few months so I can compare the BEP600 and the Simarine . 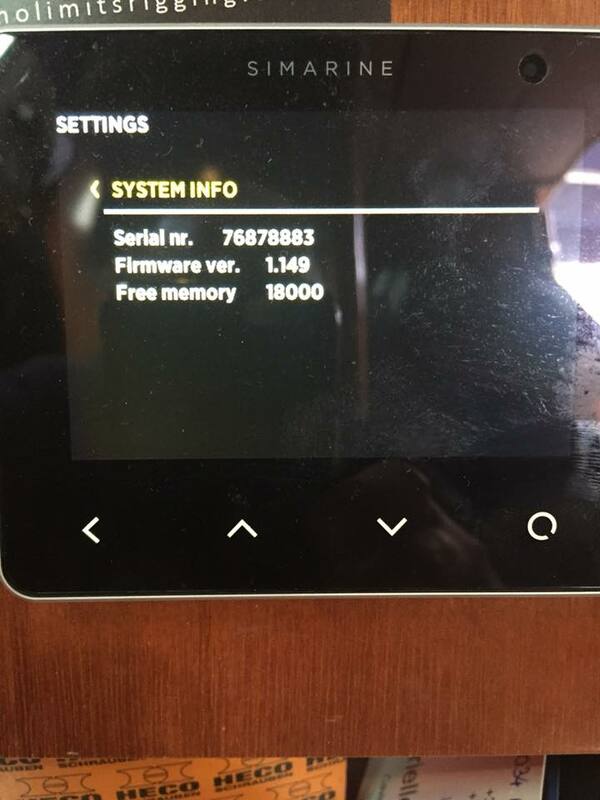 There’s also an interesting thread on cruisersforum.com about this battery monitor if you would like to read more . 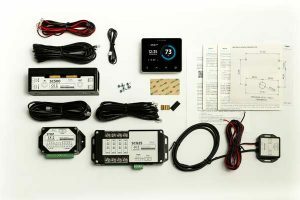 7 Responses to "Installing a battery monitor , at least … trying to : simarine battery monitor review"
Thanks for the detailed write up, any updates on how the battery monitor is working? I have been debating purchasing one as well. An interesting story, one on which I am about to embark! My 1995 Moody44 was broken into in October, and the only thing stolen was my electrical control panel! Didn’t touch the life jackets, VHF, binoculars, TV, up to date Garmin nav equipt and chart plotter.. clearly a very targeted theft. They unscrewed the original Moody panel , chopped through all the wires (including all my wiring label on the loom) and left me with shortened wiring, 90% of which were just ONE colour (red). Whilst I was having a new custom panel made, I was tracing all the circuits, labelling, trying to figure out which was old “dead” wiring and generally cleaning up. My new panel arrived with the nice new PICO BLUE package and display unit all installed. Finally labelled and crimp connected all the 12v connections, new 240 RCD consumer unit etc, everything works and looks great – HOORAY! BUT….. now I am going to tackle the fitting of the 500A shunt, the SCQ25 unit, and the 107 unit. The manual is very thing on information, so I hope I can figure it out like you did. I have a very full fuel tank, so I am hoping I can use a stick to push the sender float down the shaft to the “empty” position and take a reading from there. We shall see! From the diagram in the manual, it looks like you can connect either a power generating device or a power consuming device to any of the ports in the SCQ25 , and you link (daisy chain) the SCQ25, the ST107 and the SC300/500 together? When you connected the SC300/500 in line to the -ve of your domestic battery bank, did you need to make up an additional short (heavy) battery cable to go between the shunt and the -ve terminal of the battery? Sorry for so many questions, hope I get to benefit from your (painful) experiences! 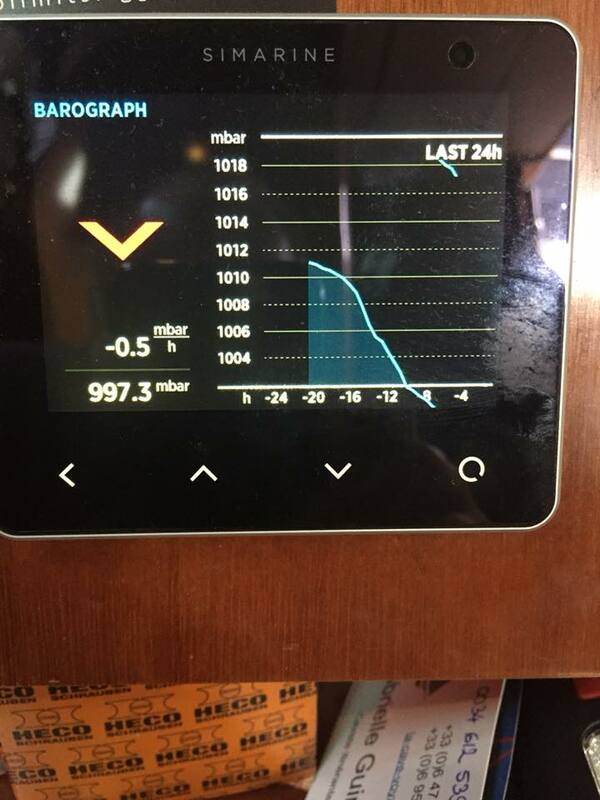 Just had a Pico+ installed on our boat. I’m looking forward to setting it up. Thanks for sharing, I’m sure some of this info will be very helpful.